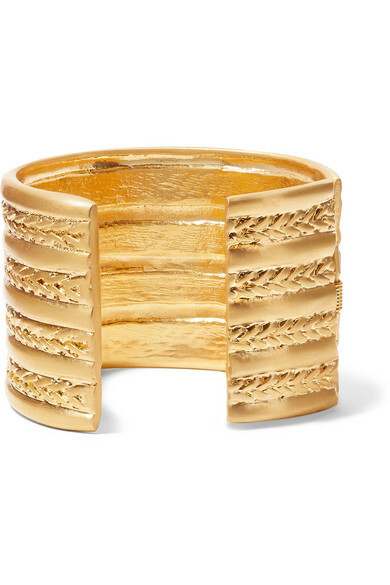 Kenneth Jay Lane's gold-tone cuff is designed to look like a stack of bracelets, taking the work out of finding the right styles to stack together. 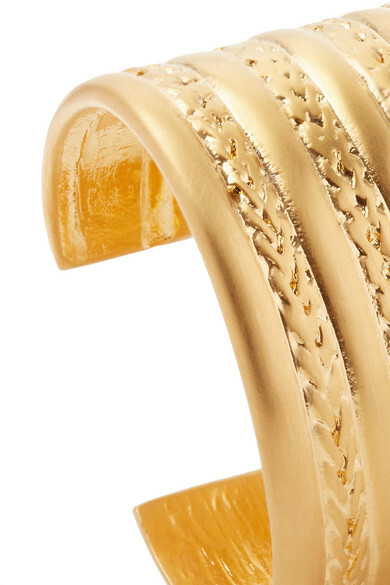 It slips on and off easily and looks especially cool worn higher on your forearm. Shown here with: Cult Gaia Dress, Isabel Marant Earrings, Laura Lombardi Bracelet, Alighieri Necklace, Alighieri Bracelet.